The recent release of John Watson’s Crossover for Lester Smith’s D6xD6 game inspires this week’s theme – Mashup Madness Week. Personally, I love genre mashup settings, where you see the interesting intersections and conflicts created when heroes encounter tropes from multiple worlds and differing narrative styles. In Crossover, steampunk fantasy and high-tech sci-fi don’t just intersect – they’re fully at war! 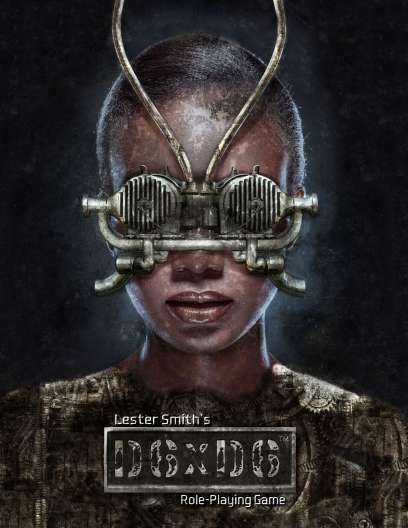 The D6xD6 is the award-winning fast-play system designed by TSR legend Lester Smith, so this is a great opportunity to put the rules through their paces with both fantasy and science fiction elements. From Origins award winning designer Lester Smith. With former Dragon Magazine editor Dale A. Donovan. The D6xD6 role-playing game is centered on a single stat, Focus. The more skills you choose, the higher your character’s Focus number. Choose just a few skills, and your character is very focused. Choose many, and your character becomes a jack-of-all-trades. Task rolls are 1d6 x 1d6. Roll high for things you know well; low for things you don’t. That single roll serves as both level of success and turn order, making combat quick and easy. Two worlds, side-by-side, orbit each other. One, the world of Arcanum, has a civilization full of magic. Everyone is born with at least a touch of the gift. Airships populate the skies, docking at floating cities. Wizardswith eldritch power combat dragons across the land. The other, Mechus, is a world of advanced technology. Genetically altered men and women walk the streets. Soldiers defend their borders within protective suits of power armor. 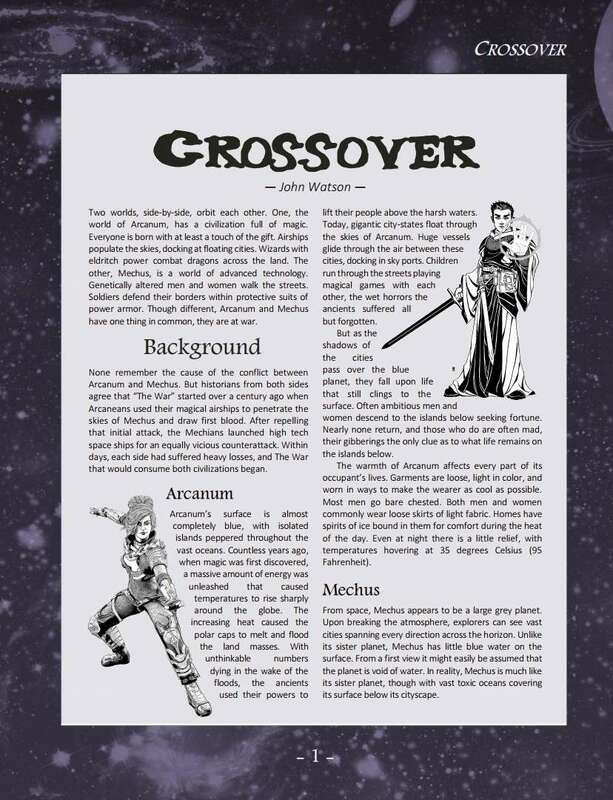 Though different, Arcanum and Mechus have one thing in common, they are at war.